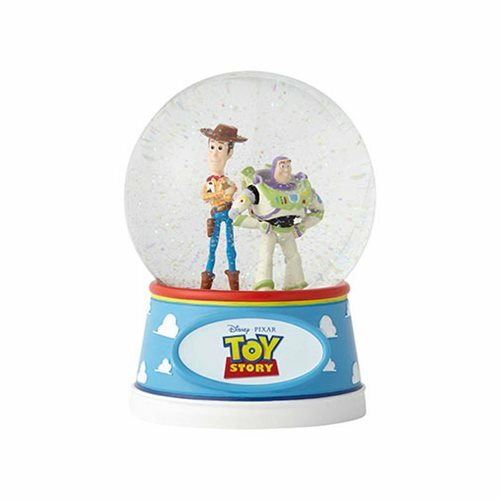 Have no fear: Woody and Buzz are here! 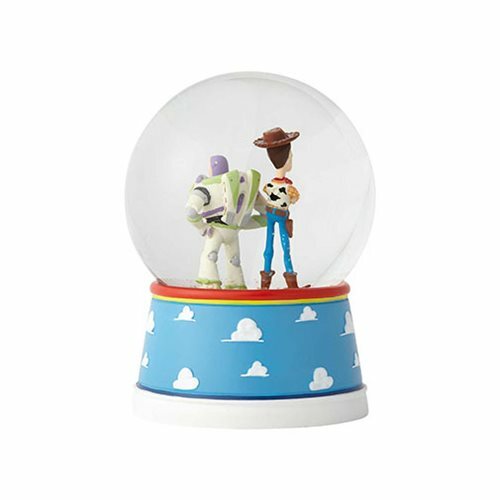 Everyone's favorite cowboy sheriff and intergalactic space ranger band together in this colorful snow globe based on the hit Disney Pixar movie Toy Story. The Disney Showcase Toy Story Woody and Buzz Snow Globe is exquisitely handcrafted in stone resin. A little shake creates a flurry of iridescent flakes. Measures about 6 1/2-inches tall x 5-inches wide x 5-inches long.